We will never forget witnessing the birth of Revel speakers back in 1996. Madrigal Audio Labs had assumed ownership of the Mark Levinson brand of high performance electronics. Sandy Berlin, a huge music lover, was one of the major investors in Madrigal, and he had an idea for a better type of speaker that combined great sound with far more contemporary design than what was currently on the market. He had come to visit Audio Advice to tell us about a new speaker company that would be part of Madrigal Audio called Revel. Sandy had hired Kevin Voecks to be the chief designer for Revel. At that time, Audio Advice was carrying Snell speakers, which were designed by Kevin. Kevin had also helped design the Mirage M1, another favorite of Audio Advice in years past. During his career before Revel, Kevin had spent time at the NRC which is Canada’s national research center. At the NRC, speaker designers have just a wealth of testing equipment at their disposal, including some great setups for blind listening comparisons. Revel was going to be based on pure science and real world blind listening tests. We were very excited to become one of the first Revel speakers dealers in the US and we do have to say, that first Revel Salon speaker is still an iconic speaker design. Later, when Harman purchased Madrigal, they moved everything out west to their huge speaker design center at Northridge, where to this day, engineering and blind testing still drive all new Revel designs. Kevin Voecks is also still at the helm of Revel design as their chief speaker designer. The current Revel speakers lineup pays homage to the original Revel Salon with beautiful curved cabinets that house the great speaker technology coming out of Revel these days. We will take a look at the various Revel speakers series which now consists of 7 floorstanding, 5 bookshelf, and accompanying center channels, subwoofers, and architectural speakers. For today’s overview, we will stick with the two-channel products in the floorstanding and bookshelf line up. In the audio world, there are only a handful of great speaker companies who have products in a wide range of prices. 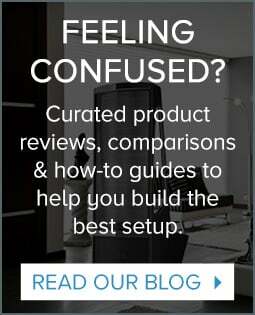 Some speaker companies only concentrate on the mass market with products that cap out at around $2-3,000 while others only play in the rarefied air of five figure pricing and up. The few that cover a wide range have the advantage of taking what they learn from making a no holds barred product (that will of course have somewhat limited sales) and using the tech developed there in less expensive products. When this approach is applied, the less expensive products are usually head and shoulders above the competition from companies who never make anything really great. For Revel, they have taken this method and done it as good as anyone. While their speakers are not super cheap, starting out at around $1,000 a pair, what you get for the money from them is stunning. To our ears, the Revel sound is very consistent across each series. You just get deeper bass extension, more dynamics, and a higher level of resolution as you move up. What is totally consistent is the fact that these speakers are just flat out fun to listen to. They have a way of involving you in the music that is very pleasant experience. This range consists of one bookshelf, the M16 and two floorstanding models, the F35 and F36. Priced at $900 a pair for the bookshelves and $1,600 and $2,000 for the pair in the F35 and F36, these speakers represent some of the very best values in audio. The F36 is just an amazing value in speakers and its great sound has garnered it five “best of” awards across the audio press. It's easy to see why when you look at all you get for the money in the Concerta 2 series, as most of the tech used in their design has filtered down from their top of the line Ultima 2 series! All of the cabinets have a rigid, curved wall construction with lots of internal bracing. The benefit of this is the cabinet does not add any coloration to the sound. They also use their patented CPG port design, which uses a contoured port that does not cause the sound coming from the port to change as volume goes up or down. A simple wrap on the side of a Revel Concerta 2 cabinet will tell you they are not adding anything to the sound as the cabinet feels extremely dead, which is a good thing. The technology used in the speaker components in the Concerto 2 series comes straight from what Revel learned in the Ultima 2 products. Revel has made it a goal to have their woofer and midrange drivers have a perfect pistoning action to reveal all of the music being sent to the driver. To accomplish this is a pretty daunting task without the aid of a lot of test equipment. The Revel team takes their speaker prototypes and uses laser analysis to fine tune the design to be perfect. They also are very clever at using some pretty cool materials in their drivers. The Concerto 2 woofer and midrange drivers use a composite ceramic material for the cone, which gives them that great pistoning action. For the tweeter, and this is another area all Revel speakers really stand out, they use another piece of tech originally developed for the top of the line Ultima. The tweeter is set back into a special wave guide that not only improves the linearity of its dispersion (think more even sound around the room) but also helps it blend better with the midrange driver. When they couple this with their low resonance aluminum dome tweeters, you get a sound that is extended and yet silky smooth! We’ve got the M16 and F36 on demo at Audio Advice and have just been blown away with how good they sound for the money. The M16 offers up really great bass performance for a modest sized bookshelf speaker with its 6 ½” bass/midrange driver. Put these guys on a nice set of speaker stands and sit them out about 18-24” from the back wall and prepare to be amazed with the soundstage they can throw at you. Our only complaint about the M16, and this is common on a lot of bookshelf speakers, is you need a good power amp to really get them going. We have found them to pair up really well with most of the Cambridge Audio and Arcam integrated amps. The F36 gives you a lot of speaker for your money with three 6 ½” drivers used in a 2 ½ way configuration. This 50 pound, almost 4 foot tall curved cabinet is beautiful to look at with its curving sides and narrow front bezel. We also love the way Revel has no hardware at all exposed on the speakers with internal magnets holding on the grills. Another nice feature is the fact that you can get the Performa 2 series in a beautiful gloss white in addition to the standard black. The F36, at $2,000 a pair, is considered by many to be the best value in floorstanding speakers on the market in the $1,500-$3,000 price range. We have to agree! These speakers are far easier to drive than the bookshelf model and with this higher efficiency, offer up just amazing dynamics across the audio spectrum. We’ve found them to be great with any kind of music we throw at them. With their rear firing port, you will want to put them about a foot off the back wall for optimum performance. For the home theater enthusiast, Revel has a matching center channel (the C25 at $750), subwoofer (the S15 at $1500) and a pretty cool on wall speaker (the S16 at $900/pr) to round out a great surround sound system. The Performa 3 series basically takes everything you get in Concerto 2 and moves things up several notches. Not only do you get more sound, but you get an even more beautiful cabinet. The Performa 3 range includes two floorstanding speakers: the F206 and F208 at $3,500 and $5,000 a pair. The bookshelf models are the M105 and M106 at $1,500 and $2,000 a pair. 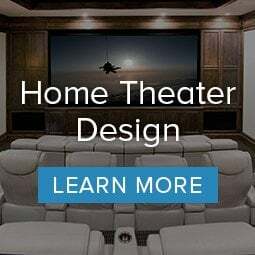 For home theater, this series gives you two center channel models: the C205 and C208 and $1,000 and $2,000 with one on wall surround model, the S206 at $1,800 a pair. They round it out with two subwoofers the B110V2 and B112V2 at $2,500 and $3,500. In the Performa 3, the curved cabinet is made with multiple layers of wood compressed together for even more internal bracing than Concerto. The cabinet is then finished with a high gloss black or American walnut in a process developed by Revel and some Italian cabinet makers to give them a look that rivals the finish you find on a fine piece of Italian furniture. The finish actually looks better to us than what you see on a new automobile. The M105 and F206 also offer the option of gloss white finish. We have the F208 and M106 set up in our Raleigh location with the F208 in our Charlotte store. Since its introduction, the Performa 3 series has won 25 awards! Yes, 25! Most of these have been garnered by the two models the have on display, the F208 and M106. The F208 is a large floorstanding 3 way speaker system. Again, Revel wanted to have great piston action from the bass drivers and used a ribbed aluminum material in Performa 3. They also took the tweeter to a new level with a design using a 1 ¼” dome housed in another specially designed waveguide. Revel also spent a lot of time on the crossover design in the new Performa 3 series to improve timbre accuracy and transparency. Designing a great crossover takes a lot science, as well as listening tests, and once again, they benefit from their design facilities blind testing set up. With dual 8” aluminum cone bass drivers, it is capable of reaching down into the lower octaves beyond what many subwoofers can do. Heck, its 3db down point is an astounding 31hz! Like the Concerto floor stander, it presents a big, powerful soundstage, but when you move up to the F208, you just get a lot more of everything. The bass is obviously more impressive, but then we add in the perfectly matched midrange driver and new tweeter. The tweeter is even more extended in the Performa series with just silky smooth highs. 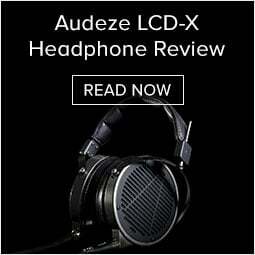 In our listening tests, we once again just loved how the F208 got us so involved in the music. Our staff keeps throwing out the words “fun” and “involving” every time they do a demo on these. You do need a decent sized room for the F208 and they will benefit from a good quality amplifier, but make no mistake, the F208 will rival speakers costing 2-3 times its price. They are smooth, natural, and very extended. If you do not have room for a large floorstander, but want that great Revel sound, check out the M106. Many people at Audio Advice think this bookshelf speaker rivals some models we have that cost twice as much. It uses the same tweeter, woofer, cabinet, and crossover technology found in the large F208, but it’s all housed in a small 2 way design that can be at home in a small room. While the M106 does not go as low as a floor stander, it reaches down really deep for its size and gives you a tremendous soundstage. Like the F208 you are drawn deeply into the music. With the Performa BE series, Revel took our two favorites in the Performa 3 series, the F208 and M106 and upped the game on driver materials and crossovers, while giving even more cabinet finish options. Beryllium is a rare earth metal that is known for being light, stiff, and very well damped. All of these are characteristics you want in a tweeter so Revel set out to design a Beryllium tweeter for the Performa BE series. Using filter down technology from the Beryllium tweeter used in the Ultima series, they came up with a design for the F208BE and M106BE. To improve the midrange and bass drivers they developed a new ceramic cone material. They also coat the cast aluminum waveguide for the tweeter with a ceramic material. These materials result in quite the upgrade from the Performa models, although the price does double on each one with the F208BE at $10,000 for the pair and the M106BE at $4,000 a pair. What you get is far more high frequency extension, which gives them an even more effortless high frequency reproduction. The ceramic bass drivers are more efficient in the BE series, giving them greater dynamics and deeper bass extension. The Performa BE series is what we feel the connoisseurs version of the Performa 3 models. What you will get is more refined, bigger, and more extended, in a cabinet that comes in high gloss black, white, walnut, and metallic silver. Like the name implies, Ultima is Revel’s ultimate speaker series. It consists of the Gem2 3 way bookshelf at $9,988 a pair, the Studio2 3 way floorstander at $16,000 a pair, the Voice2 center at $8,000 and their masterpiece, the Salon2 at $22,000 a pair. We put a pair of the Salon2s on demo in our Raleigh showroom and almost every person who has listened to them has just been totally blown away at the sound they are producing. When you pull the grill off a speaker in the Ultima 2 series, you are struck by the look of the midrange and bass drivers. Unlike most speakers, the domed dust cap is missing and you see a clean look. Revel used some very exotic materials to have a driver with perfect pistoning characteristics. They use an inverted dome made out of titanium, which also gives them a very cool appearance. Internally the voice coil is wound with flat copper ribbon wiring to increase efficiency and dynamics. The tweeter uses Beryllium with the special Revel waveform that helps match it better to the midrange while also improving dispersion. The front of the speaker cabinets are almost a work of art the way they are sculpted to the size of each driver, but this is also about performance as this minimizes diffraction on the front baffle. The cabinet itself comes in a high gloss black or mahogany veneer that is just beautiful with its curves. The Salon2 and Studio2 come with built in floor isolation stands which raise the speaker up slightly off the floor and Revel developed isolation stands for the Voice2 center and two different height options for the Gem2 bookshelf speaker, a desk stand and a floor standing version. The Revel sound is going to be very appealing to a wide variety of listeners. 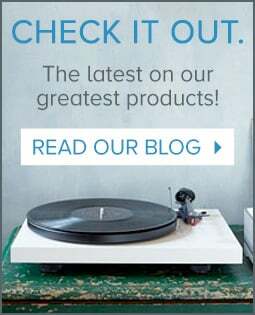 If you are thinking about new speakers in the $1,000 or above price range, these need to be on your list of models to check out. We think you will find yourself grinning from ear to ear like we do when you experience them in your home!